The Winter Clearance Has Begun! The most wonderful time of the year is upon us. But after the last drink has been drunk, and the last song has been sung, it’s time to move on to even more excitement… the winter clearance! This year, our offering is bigger than ever before. Not only do we have a selection of bestselling fragrance and beauty at up to 50% off RRP, but we’re also offering 20% off the RRP of all full-priced products. After its incredible success during our Black Friday promotion, we’ve managed to secure some more of these jewel-like lipsticks exclusively for our January sale! 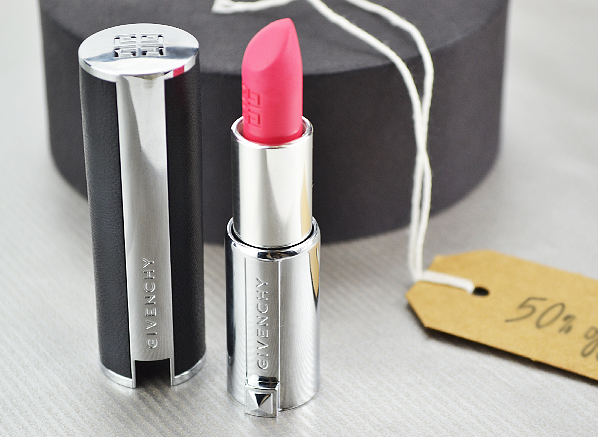 The extremely luxurious Givenchy Le Rouge Lipstick is the ultimate couture beauty talisman. Even the case is a thing of beauty, presented in a leather case with silver Givenchy hardware and stud detailing. The lipstick within is a creamy, statement pink that goes by the name 208 Rose Extravagant – what could be better for chasing away the winter blues? Take a look at Ceryn wearing the beautifully bright shade here. If you’re just starting to dip your toe into the world of age-resistant skincare, you couldn’t find a better first step than this Ideal Resource Gift Set. This all-round radiance-booster is created for those who are beginning to see their first lines and wrinkles, and may be noticing that their skin isn’t bouncing back to a healthy look as quickly as it once was. 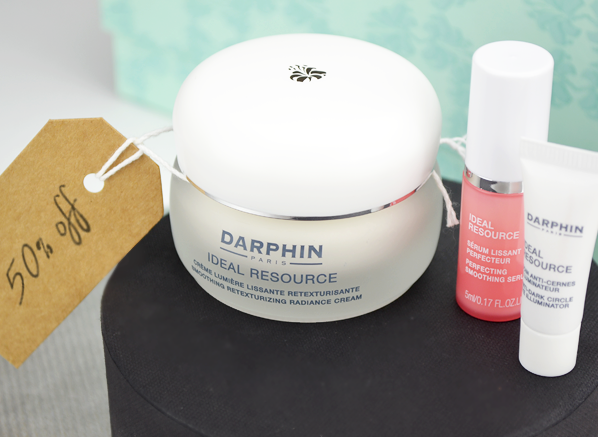 The set features a full-sized Ideal Resource Smoothing Retexturizing Radiance Cream (50ml), plus a travel-sized introduction to two other bestsellers from the range, the Ideal Resource Perfecting Smoothing Serum (5ml), and the Ideal Resource Anti-Dark Circle Eye Illuminator (2ml). 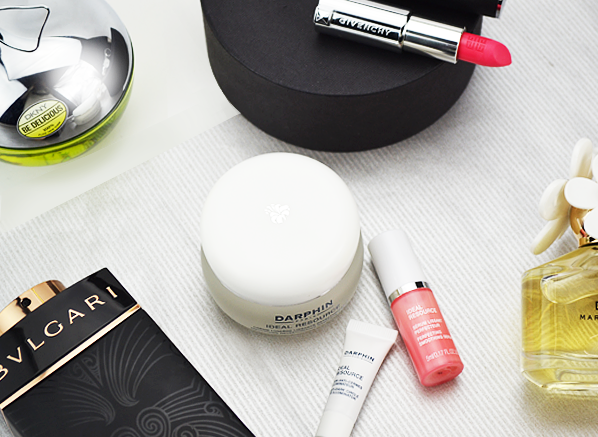 It’s your ticket to a more fresh-faced New Year! 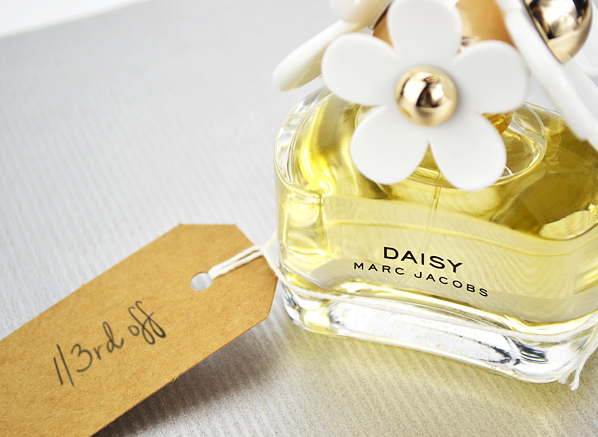 Who can resist the adundant charms of Marc Jacobs’ golden girl, Daisy? This ultimate feel-good scent is pretty perfect all round, featuring a perky scent and a wonderfully tongue-in-cheek bottle that appeals to both the young and the young at heart. Its offbeat composition of wild strawberry, violet, grapefruit, vanilla and musks is suitable all year round, bringing sunshine in the winter, and chicness in the summer. The Marc Jacobs Daisy Gift Set offers brilliant value, with a 50ml Eau de Toilette, a 75ml Shower Gel, and a 75ml Body Lotion. Each of the matching toiletries is scented with the Daisy aroma, which not only offers different ways of wearing the fragrance, but also allows you to layer it up for a stronger, longer lasting fragrance. Beautiful! With each passing year, Guerlain brings out seasonal collections that are even more spectacular than the last. This season saw the unveilling of a beauty winter wonderland in the form of the Neiges et Merveilles collection, which features a breathtakingly beautiful star product: the Ors et Merveilles Palette. This collector’s piece is something of a rare gem; it’s limited edition… but it’s so very practical. 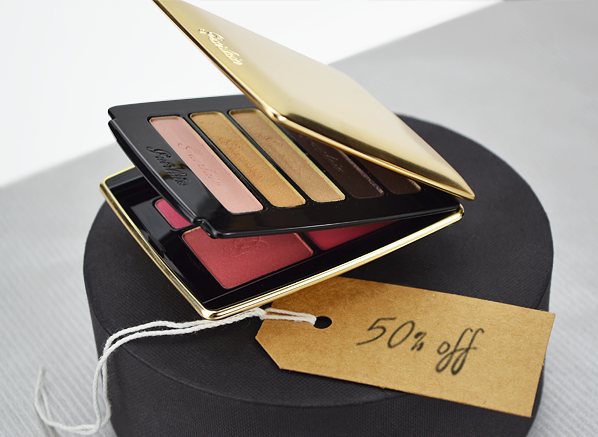 The two-tiered palette features five generously-sized, suits-all eyeshadows on the upper layer that will easily take you from day to night, and four blushes tucked away underneath to make touch-ups on the go a breeze. This tempting scent has been lifting moods since 2004 with its apple-inspired juiciness. 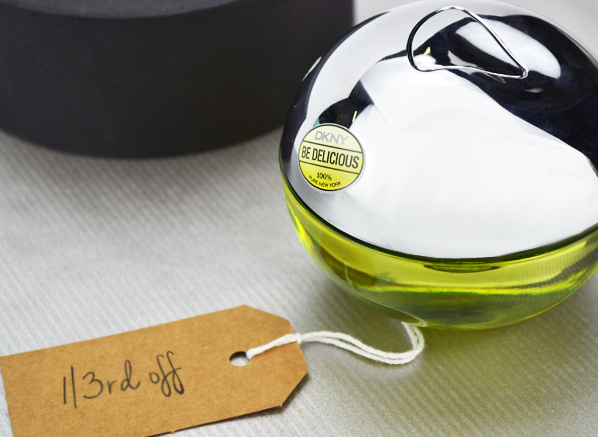 Created as an ode to the incredible sights and sounds of New York, DKNY Be Delicious is everything you want from a daytime fragrance. 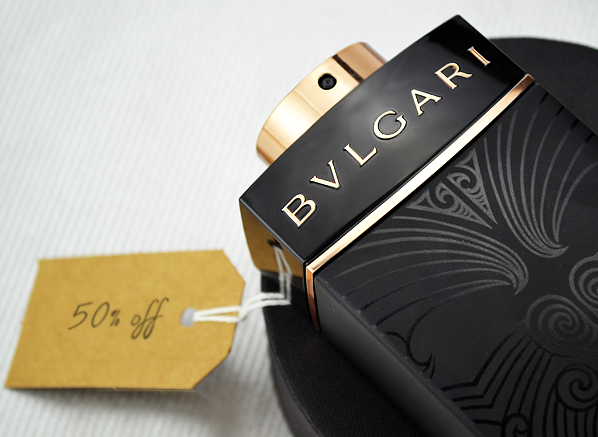 It’s easy to wear, happy-go-lucky and, most important of all, it smells absolutely delectable. This gift set offers the 30ml Eau de Parfum in its perfectly portable form alongside a 100ml fragranced body lotion, which allows you to create a full top-to-toe fragrance ritual. Spritz it on, and relish the good vibes. What do you get when you take a powerful fragrance inspired by the gods and add even more intensity? You get the BVLGARI Man In Black ‘All Blacks Edition’, a spectacular limited edition ode to the New Zealand rugby team in an impressive eau de parfum intense concentration. The potent neo-Oriental fragrance captures the strength and intensity of the All Blacks in a concentrated fragrance, showcasing addictive notes including tobacco, rum, tonka bean and guaiac absolute. No detail is spared; even the bottle features the traditional ‘moko’ facial tattoo. What are you hoping to pick up from our winter clearance? This entry was posted on Wednesday, December 23rd, 2015 at 6:00 pm and is filed under Clearance, Fragrance, Make-up, Skincare, Special Post. You can follow any responses to this entry through the RSS 2.0 feed. You can skip to the end and leave a response. Pinging is currently not allowed.